I need to open this post with saying that WAUGH THE WALKER PAPERS ARE ENDING *sniff*. 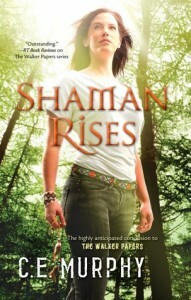 Why, I remember back in the day when Kit was throwing the manuscript for Urban Shaman together! And now look at it. Book Nine. How gorgeous is this cover? Thank you, Kit, for delivering us a hell of a ride. I look forward to seeing how you’re going to wind it up, and what you’ll throw at us next! In the Black, by Sheryl Nantus. SF romance by a fellow Here Be Magic member, as featured on Boosting the Signal! She had me with citing Firefly as an influence! It Had to Be You, by Delynn Royer. Period mystery set in the 20’s. Looking forward to checking this out. Goddess Born, by Kari Edgren. Historical romance with a character descended from the goddess Brigid–and who possesses the power to heal. For obvious reasons, I’m partial to healers! Court of Conspiracy, by April Taylor. Also historical, but with more of a fantasy bent from the sound of it, with a big helping of mystery as well. Embrace and Crucible, both by T.D. Wilson. Because every so often Carina does, in fact, publish straight-up SF, and I make a point of supporting that, as you know! Shattering the Ley, by Joshua Palmatier. Pre-ordering this, the first of his new series that seems like it ought to be an SF novel with its cover, but it’s not! It’s fantasy! And having read some of Mr. Palmatier’s best work, I’m ON BOARD. Gimme. The Twelve Kingdoms: The Mark of the Tala, by Jeffe Kennedy (pre-order, received today!). 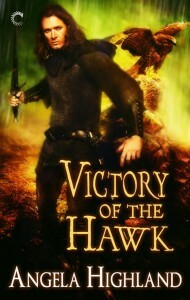 This is fellow Here Be Magic member Jeffe Kennedy’s first fantasy novel! Shaman Rises, by C.E. Murphy (pre-order). The FINAL Walker Papers book, bought for general obvious MUST HAVE THE KITBOOK reasons as stated above, and pre-ordering because Ordering Things By Kit is Love. And a present to Future Me, who will see this book show up in her Kobo library and be all WHAT BRILLIANT PERSON DECIDED TO PREORDER THIS? And THANK YOU, PAST ME! Cycling to Asylum, by Su J. Sokol. Grabbed this because the author approached me in email after I read her short work of SF set in Quebec, and so I had to nab this. It’s future dystopian SF, in which an American family flees worsening conditions in the States to take refuge in Quebec. Looking forward to reading this one quite a bit!